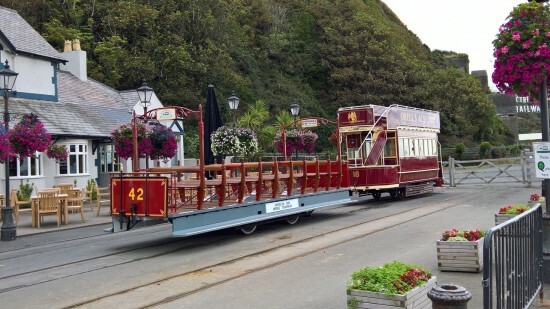 Ever since Isle of Man Transport started running the Douglas Bay Horse Tramway with the more intensive summer service it hasn’t been uncommon to see three trams in action at any one time but on Saturday 4th August the tramway went one better with four trams on the line at the same time, including wedding hires. 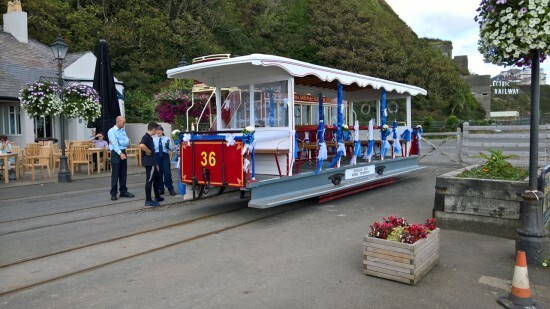 This number of trams in use at the same time is almost unheard outside of special events and various parades that have taken place in the past. 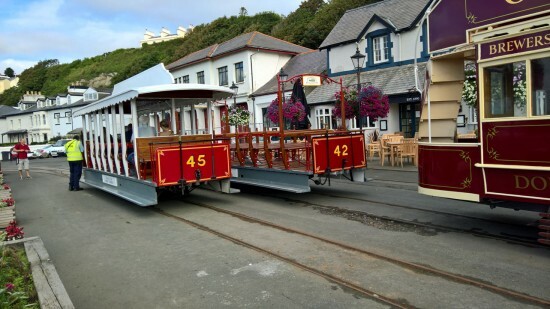 Indeed there were actually two separate wedding hires which meant five different trams were in use on the day. The three service trams on the day were 44, 45 and Toastrack 42 with 18 and 36 in use on the wedding hires. Since returning to the tramway after overhaul at Derby Castle the Toastrack has seen increased usage especially with the mainly fine weather which has been enjoyed over the past few months. Two stunning products of Derby Castle’s workshops are seen here at the horse tram terminus. On the left is 45 with 42 alongside. Double decker 18 is also seen in this view. 42 and 18 at Derby Castle. 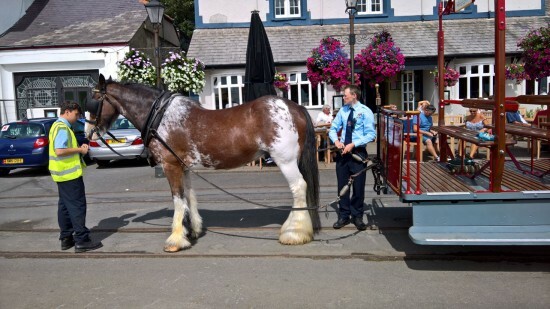 The horse gets some well earned treats as it waits to depart with 42 in tow. 36 is decorated for its wedding party. 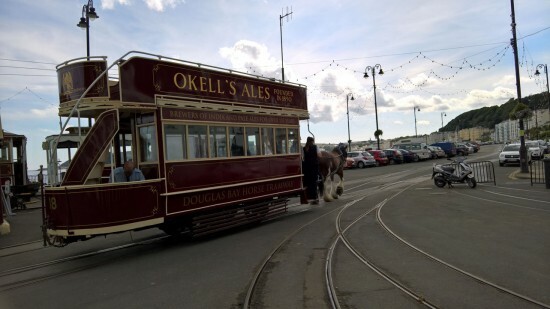 This entry was posted in Douglas Bay Horse Tramway. Bookmark the permalink.